Tesco Express occupies a location at 20A Cockcroft Road, approximately 0.69 miles south from the centre of Didcot (a few minutes walk from Northbourne C Of E Primary School and Edmonds Park). The store is fittingly situated for customers from East Hagbourne, Didcot, Chilton, Great Western Park, Blewbury, Upton, Brasenose and Harwell. Its working times are from 6:00 am - 11:00 pm today (Friday). Here you will find business times, navigation and phone number for TESCO Didcot, Cockcroft Road. Tesco Express occupies an ideal position right near the crossroads of Barnes Road, Edwin Road and Cockcroft Road, in Didcot, Oxfordshire. 1 minute drive from Park Road, Queensway or Mereland Road; a 2 minute drive from Broadway, Jubilee Way, New Road and Wantage Road; or a 8 minute trip from Hadden Hill, Station Road or Abingdon Road. For patrons planning on using GPS to get here use postcode OX11 8LL. Ride by bus to Barnes Road or Park Road. Routes that stop here: 92, 93, 96, BB1, BB2, BB4 and BB1A. Trains run every day to Didcot Parkway Station (4990 ft away). Board the GWR line. If traveling by foot you'll find Didcot Railway Centre, Hadden Hill Golf Course, Willowcroft Community School, Didcot Girls' School, Didcot Wave Leisure Pool, The Orchard Shopping Centre and UTC Oxfordshire. TESCO has 2 existing stores in Didcot, Oxfordshire. For the entire list of all TESCO locations near Didcot, visit the page provided. Please take into account that the working hours for TESCO in Didcot, Cockcroft Road may change from regular times during UK national holidays. For the whole of 2019 these updates consist of Christmas, Boxing Day, Good Friday or August Bank Holiday. 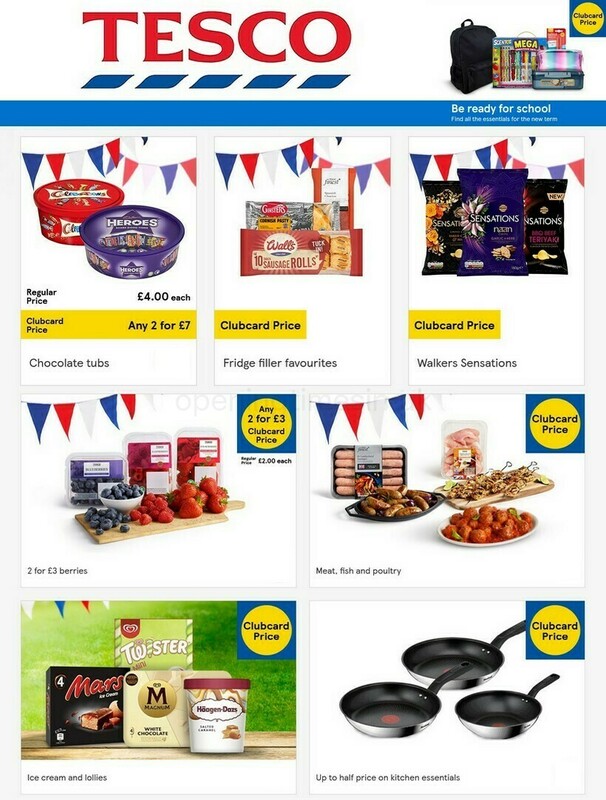 For precise information about the seasonal opening times for TESCO Didcot, Cockcroft Road, go to the official site or phone the information line at 0800 50 5555. Accessible baby changing facilities are available in-store. Disabled parking facilities are available. An induction loop has been installed in our store. Facilities are available for people with hearing impairments. Fully accessible toilets are available within our store. Facilities are available for people with mobility impairment. Wheelchair assistance is possible in our store. Assistance dogs are welcome in our store. Facilities are available for people who are visually impaired. Including large print and braille. Our team is working to deliver you with the latest information as possible. If you found any discrepancies or mistakes in the place of business address details or operating hours for TESCO in Didcot, Cockcroft Road, please utilize this form to report a problem. You may critique TESCO using the box provided below. Please also critique the supermarket using the star rating system.